Since 2012 and until nowadays, Sony adopted a new strategy when it comes to the smartphones they had to offer. This one relied on offering affordable devices with a solid Android operating system, but entry-level features. This way, everyone could afford them, and their idea seems to have worked very well since we see the Xperia E Dual launched in 2013 using the same strategy. If you own this dual-SIM, reasonably-priced phone, our article today will teach you how to hard reset the Sony Xperia E Dual. Although equipped with a strong OS and many features that make it a resistant device, this Sony Xperia can also be affected by viruses, the same as all similar smartphones. Also coming with some less impressive features than more expensive phones, a small virus can have a bigger impact on your Xperia E Dual. For this reason, doing a master reset whenever your phone crashes, lags or became slower is a good way to get rid of all problems and restore the phone to original software. 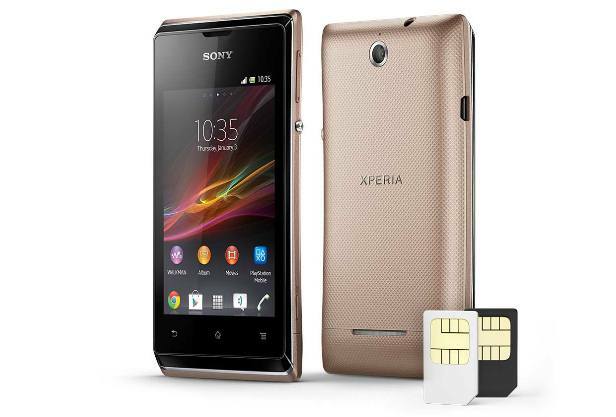 Being fairly similar to the Xperia E, the Dual version is different becomes it supports the use of two different SIM cards. Some other key features are the Quad-band GSM/GPRS/EDGE, as well as the dual-band UMTS support. Apart from that, you can also enjoy 512 MB of RAM and a 1 GHz Cortex-A5 processor. Using Ice Cream Sandwich as its operating system, the phone is equipped with a 3.5 inches touchscreen. You can surf the web using its Wi-Fi hotspot and reach speeds of 7.2 Mbps HSDPA and 5.76 Mbps HSUPA. It only comes with one 3.15 MP camera that records VGA video @30fps. The user-accessible battery can be removed in just a few steps, so you can take advantage of this feature when doing a soft reset if necessary. In terms of disadvantages noticed on the device, the poor quality of the display and the fact that one can feel its chipset without trying too hard are some of the most often mentioned. Go to Settings and scroll down until you see Backup & Reset. Factory Data Reset should be selected, and then tap Reset Phone. Read the instructions and confirm with Erase Everything. This is all you need to do in the case of this method, and then the reboot will begin all by itself. When this is done, the phone is going to restart, and it will look like a brand new one. You should make sure that you saved all important data before getting started. Once the restore is complete, you will be able to use the backup to restore all of your files. Switch off the phone and hold Power + Volume Down for 10 seconds. When the Reset Menu appears, release all keys and wait for it to load. Follow any instructions on the display and confirm them using Power. The device will guide you through all the steps, so there is no need to worry. You will always know what you need to do next, and you can use the Volume Up and Down keys to scroll up and down. Similarly, you will be able to choose an option using the Power button. Press Power and hold until the phone switched off. Press and hold Volume Down, and then wait for the menu to load. Connect the USB cable to the phone and accept all info on the display. The phone will then begin the hard reset procedure and be done in a few mins.